The recent spate of industrial scandals shaking Japan’s leading firms underlines the need for top management to develop a whole new attitude toward consumers and manufacturing if companies want to recover public trust and restore the country’s image for high-quality production. Revelations of data falsification and other problems have emerged just as the “Made in Japan” label was gaining traction again — following sustained competition from low-cost rivals such as China — thanks to the perception that Japanese firms produce higher-quality products. “Japanese companies have technical competitiveness. What is being questioned here is their attitude toward consumers,” said Shigeru Nakajima, a Tokyo-based lawyer specializing in corporate compliance. The scandals have had an impact on Japanese brand value, and “this problem needs to be addressed quickly otherwise Japanese manufacturers will get stuck with a reputation across the globe that they do not care about end users,” he said. The first quality scandal came to light in September after Nissan Motor Co. was found to have been using uncertified workers to carry out new car inspections at their domestic plants. The scandal spread to other business sectors, with the nation’s third-largest steel-maker, Kobe Steel Ltd., admitting it had sold products with tampered data to companies at home and abroad. Subaru Corp. also admitted to inspections by uncertified staff at its plants, while quality problems at some Mitsubishi Materials Corp. subsidiaries and Toray Industries Inc. were disclosed as well. 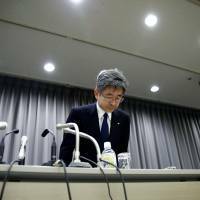 For example, Toray said that it would not have disclosed its issues if similar data fabrication cases at Kobe Steel had not come to light. But Nakajima warned that this kind of mentality needs to be addressed, citing the expectation gap between manufacturers and consumers. One company he cites as a good example of how to quickly regain public trust and overcome a safety scare is Maruka Foods, based in Gunma Prefecture. In 2014, cockroach pieces were found in a package of its popular Peyoung brand instant noodles. In a rare move, the company halted shipments not only of the affected brand but all of its commodities. The company also swiftly made changes to its production plants and enhanced workforce training, by renewing its quality control manual and making employees take in-house and external courses. By contrast, the recent string of scandals suggests that many Japanese companies seem to lack a sense of urgency when it comes to dealing with such problems. In Nissan’s case, for example, it was found that uncertified inspections continued even after the carmaker announced a recall and said it had fixed the problem. Mitsubishi Cable Industries Ltd., a subsidiary of Mitsubishi Materials, admitted that it had manipulated inspection data for rubber sealing products, with such products potentially sent to hundreds of customers. 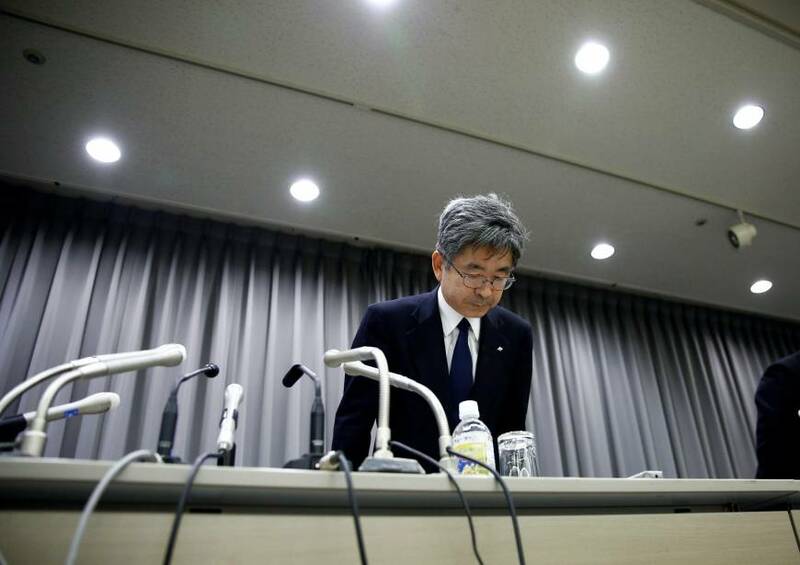 Nakajima said that Japanese manufacturers hit by these scandals could learn from Maruka Food’s prompt reaction. “Companies have not taken Japanese society’s call (for safety) seriously enough,” he said. Katsuhiko Shimizu, a professor specializing in organizational behavior at Keio University, slammed the attitude of Japanese makers toward manufacturing. What concerns Shimizu is that the solutions corporate chiefs are proposing will not necessarily solve the problem. “Top executives are saying that they will apply tighter management control, but that is not the point. . . . What is needed now is for workers to start taking pride again in their products, and recover the sense that they are providing high-quality products and services to their consumers,” he said. While no corporation wants to be caught up in a scandal the current quality crisis may have a silver lining, which is the cleansing effect it could have on corporate governance and compliance, said Nicholas Benes, the head of the Board Director Training Institute of Japan, which offers executive courses on corporate governance. “There are more people outing, there are more people whistle blowing and complaining internally,” Benes said, noting that in a world of digital information, it has become easier to find and expose problems. “The old way of doing things can’t hold. I’m not sure it’s all negative,” he said of the quality scandal.